If you love Asian culture, if you happen to be an admirer of the fantasy genre and if you are into online gambling, you can be quite sure that you will have a difficult time finding a slot game that is better suited to your likings than Eastern Dragon Slots. The main character of the game is a big, red, surrounded by scarlet fiery colors mythological beast that can easily conquer your imagination and awaken the child within you. It’s flames also carry a terrific variety of opportunities. 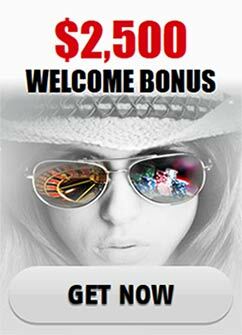 The game offers 5 reels, 20 paylines, the usual profitable symbol hierarchy, as well as several bonus features and an extremely solid jackpot. The bet for a payline starts at 5 cents and can go as high as 5 dollars. That raises the maximum bet possible to 100 dollars. As it is the case with any Asian culture themed slot game, the symbols in it (usually the higher paid ones) are tightly connected with that atmosphere and vibe. Naturally you will see the typical Chinese lights symbol, a fireworks symbol, a lotus symbol and others. Letter symbols and number symbols are also present, including the usual card symbols starting from 9 and of course reaching the Ace. The wild symbol is the golden dragon and the scatter symbol is a special coin with a hole inside of it. The wild in this game is a bit more special apart from the fact that it is a gorgeous to behold golden winged beast. It will replace the rest of the symbols, except for the scatter coin and the dragon can also use its magic fire to multiply by two the winning combination in which it participates. The free spins bonus round is the first extra game in Eastern Dragon Slots. It can be started through the Wild symbols and once the deed is done, 15 free spins will be awarded and everything that is won throughout those additionally awarded games will be multiplied. The scatter coins will also deliver an abnormally satisfying reward. The more scatters a player lands, the more coins will he or she receives-such an award can reach 200 coins simply through the gaining of scatter symbols. The second bonus game is the gambling option. You will be able to choose colors or suits. A multiplier of two will be given for the rightly guessed color and a multiplier of four will be awarded for a correct suit. This beautiful game will please your eyes with its warm colors and will set your emotions ablaze as it provides you with precious opportunities for gigantic earnings.